WITS Interactive created an ePub for the publisher Sfischer. 2 books of the author Ralf Schmitz namely Schmitz katze, Schmitz mama were made into ePubs. 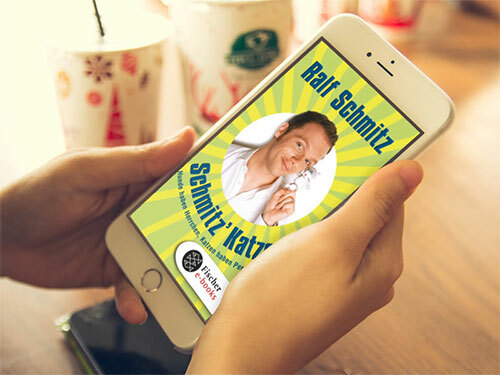 Ralf Schmitz is a multiple award winning comedian and actor. His book Schmitz Katze was in the top 10 for the Spiegel list as a bestseller for months. Schmitz Katze is funny, amazing and above all an autobiographical book. Schmitz mama is another nonfiction book. These ePubs were simple and standardised fixed layout ePubs which were well received by our client. Both these ePubs were made to enhance the reading experience. Team Wits furnished a solution for the client which exceeded their expectations and turned out to be way more interactive than just a simple book!